Beechcraft created several variants of the original design, including the Model C90A, which featured the redesigned engine cowlings of the F90-1. The C90A received an increase in MTOW in 1987, being certified to 10,100 lb (4,580 kg). The C90A model was in production until 1992, by which time 235 had been built, all but 74 with the increased MTOW. Single-pilot BOW is about 7,000 lb. to 7,100 lb. and the aircraft carry 2,573 lb. of fuel. Max ramp weight is 10,160 lb., so tanks-full payload is less than 500-600 lb. Two 550 shp Pratt & Whitney Canada PT6A-21 turboprops power these aircraft. The props turn 2,200 rpm for takeoff, so cabin sound levels are obtrusive at maximum power. All engine takeoff distance (over a 50-ft. obstacle) is 2,790 ft. assuming sea-level/ISA conditions and 4,600 ft. when departing B&CA’s 5,000 ft. elevation, ISA+20C airport. 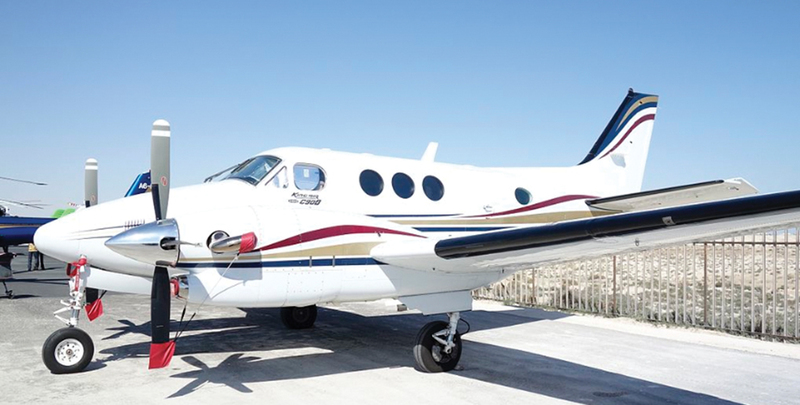 Allowing for shorter trip times and lower operating costs, the King Air C90 Series features more powerful Pratt & Whitney PT6A-21 engines and a significantly longer wingspan than earlier models. These items allow an increase in maximum takeoff weights, better runway performance, higher speeds and lower fuel flows. The all-weather, twin-engine, turboprop aircraft is as rugged and sturdy as it gets with a long history of reliability improvements. Commonly referred to as the SUV of the sky, it can fly long hours. 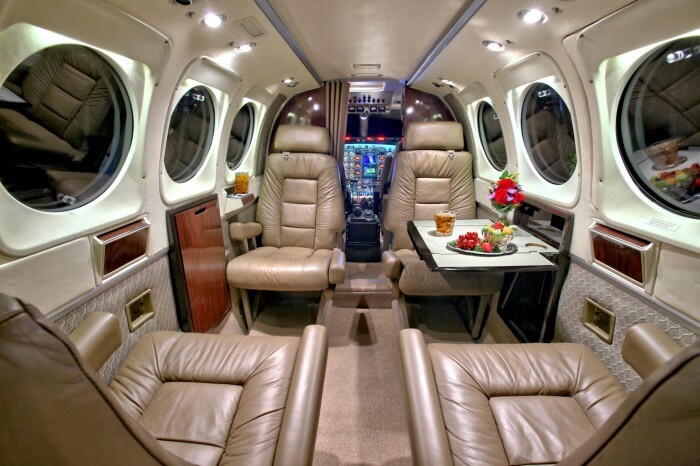 The Executive configured cabin is preferred for business travel.